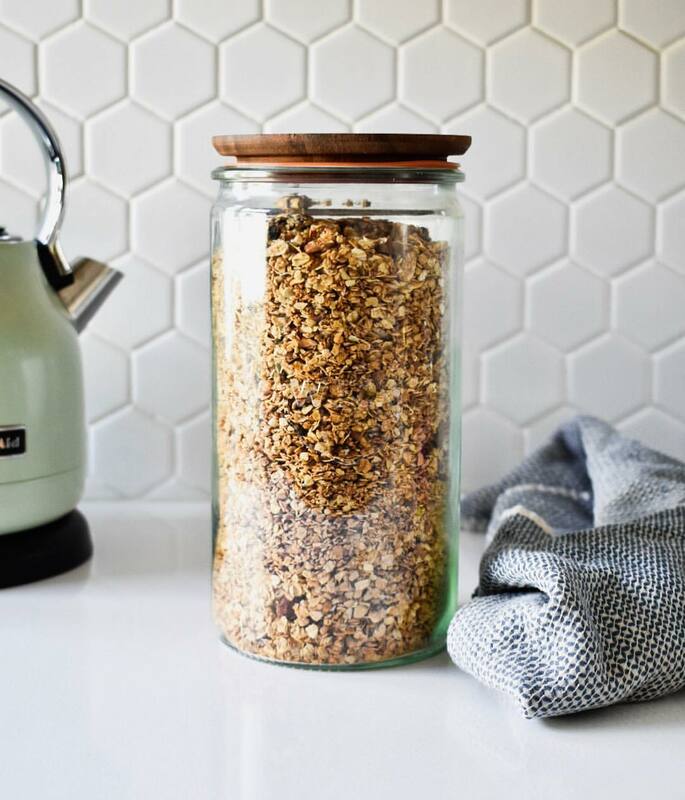 I made this granola for easy weekend eats so I wouldn’t have to think much about breakfast and it’s almost all gone. It’s super simple: oats, cinnamon, maple syrup, dried fruit (usually figs), chopped almonds and pecans, unsweetened coconut flakes, and a couple other ingredients. Magnolia likes it on top of her yogurt with berries, and Griff enjoys his with nut milk and bananas. I love to make it in bulk and it’s our alternative to boxed cereals...but it really doesn’t last long. We did our shopping and thrifting today, so the rest of the weekend will be spent outside pruning our apple tree, grapevine, raspberry bushes and currants, and folding a heaping pile of laundry.